Hi girls! Welcome back! 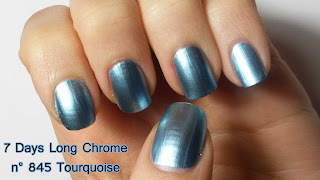 In this post I will talk about the Tourquoise Chrome No. 845 of Deborah Milano. 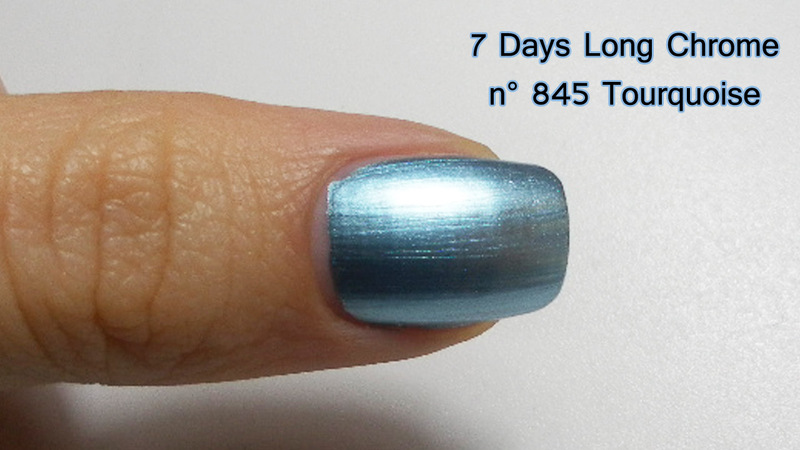 Enamel 7 Days Long proposes a new version to give the nails a sleek chrome effect. 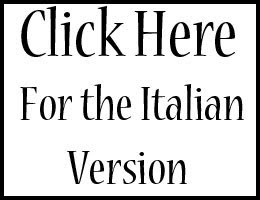 The new collection just out, offers six different shades of color, limited edition. The No. 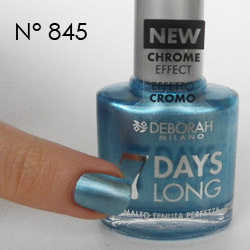 845 is a bright turquoise that is present in a bottle of 11 ml and has a recommended price of € 6.50. The applicator is very comfortable and easy to handle (because it is large enough); Drying times are very fast and you think that with a stroke will have a metallic and covering finish, it surprised me! The duration varies from 5-7 days, even less if you perform manual work. It is therefore advisable to apply on a transparent top coat for a perfect hold. I find this particular color because it reminds me of both the shades of ocean blue. I refer you to the next post! kiss, Rossella.